Niels Henrik David Bohr (1885-1962) was born in Copenhagen. His mother was from a prominent Jewish-Danish family, and he was partly named after his grandfather, David Baruch Adler, an influential banker and parliamentarian. Bohr’s father was a famous physiology professor, who rejected his Lutheran roots in favour of atheism. (Bohr himself would later renounce any association with the Church of Denmark.) At 20, Bohr won a gold medal from the Royal Danish Academy of Sciences for his work on water viscosity and surface tension. 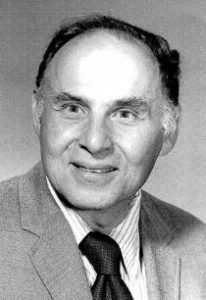 He went on to earn a Master’s in mathematics and a Ph.D in physics. Bohr combined Rutherford’s ideas on the atom with Planck’s quantum theories to produce a revolutionary new atomic model, known as the Bohr model. This model finally made sense of the mysterious properties of atoms, and solved a major hurdle that baffled scientists for over 30 years. The discovery would earn Bohr a Nobel Prize in Physics. 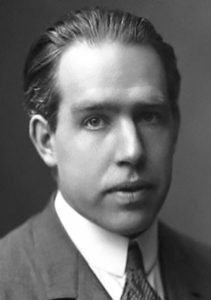 By 1917, Bohr was the Chair of Theoretical Physics at the University of Copenhagen, and sought to establish a new centre for physics research. Bohr got the government on board, and after receiving large donations from wealthy Danish Jews (together with the Carlsberg brewery), founded the Institute of Theoretical Physics – now known as the Niels Bohr Institute. There, his students discovered the 72nd element of the Periodic Table – whose existence Bohr had proposed – and named it Hafnium, the Latin name for Copenhagen. When the Nazis came to power, Bohr opened the doors of his institute to fleeing Jewish scientists. Denmark itself would soon be under Nazi control. In 1943, Bohr was informed that he would be arrested since, despite his mixed ancestry, he was considered a Jew according to the Nuremberg Laws. Bohr fled to Sweden, where he met with Swedish King Gustaf V to convince him to open Sweden’s doors to Jewish refugees. Bohr succeeded, and over 7000 Danish Jews were rescued and given asylum in Sweden. He then headed to England, where he assisted the war effort through the British “Tube Alloys” weapons project, before heading to the US to advise the Manhattan Project. Although he claimed his help was not needed to make the first nuclear bomb, others have admitted that he solved an important puzzle that made it happen. Bohr campaigned against the use of nuclear weapons for the rest of his life. It was his vision that resulted in the creation of the International Atomic Energy Agency, which monitors the use of nuclear power. Bohr went on to become the President of the Royal Danish Academy of Arts and Sciences. 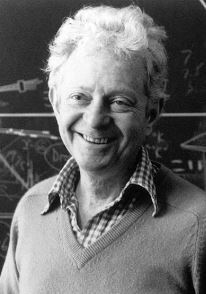 He chaired the Nordic Institute for Theoretical Physics, and played a central role in the founding of the world-famous CERN research organization. In addition to his monumental work in quantum physics, Bohr was a noted philosopher. Along with countless other awards, Bohr was bestowed the Order of the Elephant, the highest honour in Denmark (usually reserved only for royalty and heads of state), and is on the Danish 500-krone bill. He is one of just a handful of people who has an element on the Periodic Table named after him (bohrium). The institution of ‘retirement’, which pushes million of men and women to the sidelines of society each year, is a tragic waste of human life and resources. This entry was posted in Science & Technology and tagged Bohrium, Carlsberg, CERN, Copenhagen, Danish Jews, Denmark, Hafnium, IAEA, Manhattan Project, Niels Bohr Institute, Nobel Prize, Order of the Elephant, Periodic Table, Physics, University of Copenhagen on April 19, 2017 by Jew of the Week.